Explore » The basics: knowing what to expect and making sure that what we’re gonna do is ethical. Wildlife watching or volunteering are widespread activities now. These activities have an impact on our environment. Knowing what to expect, what to do, what to look for, what to pay attention to are now critical parts of being mindful, ethical eco-citizens. It starts with exploring wildlife viewing venues (parks, zoos & sanctuaries, organizations), assessing wildlife welfare or conservation volunteering opportunities and doing some research on our part to make sure that the opportunity is reputable and ethical. Be informed. Look behind the curtain. Beware of luring appearances, exciting advertisements, and quick and unsupported affiliation or/and ethical claims. Ultimately what venue we choose, the way we engage with Nature and its consequent impact on wildlife is our responsibility. It is Earthwise Aware’s mission to help you in the process of exploring, preparing and engaging with our environment. To facilitate your exploration, we provide the following introduction guides. 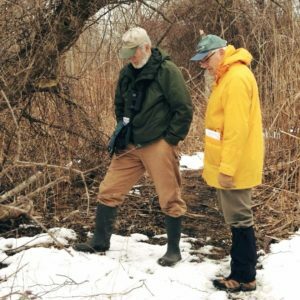 Their objective is to help you researching and assessing any wildlife and/or conservation option, as well as gathering some preliminary tips about how to best manage ourselves in Nature habitats and with wildlife. The EwA Basics of Nature & Wildlife Watching is for the benefit of the mindful Nature enthusiast. This short guide pulls together some useful information based on questions that we get asked a lot, as well as it helps the reader navigate the EwA guides and etiquettes. The EwA Basics of Nature & Wildlife Volunteering is for the benefit of the first time volunteer. This short guide pulls together useful information based on questions that we get asked a lot, as well as it helps navigate the EwA guides and etiquettes focused on wildlife. The EwA Complete Guide to Choosing Wildlife & Nature Venues is a comprehensive guide to facilitate your research of Wildlife/nature tours, parks, sanctuaries, or conservation volunteering opportunities. It gives you tools to get a sense of the ethics and relevance of the venue. It also helps you understand your motivation, define your goal and match your needs.